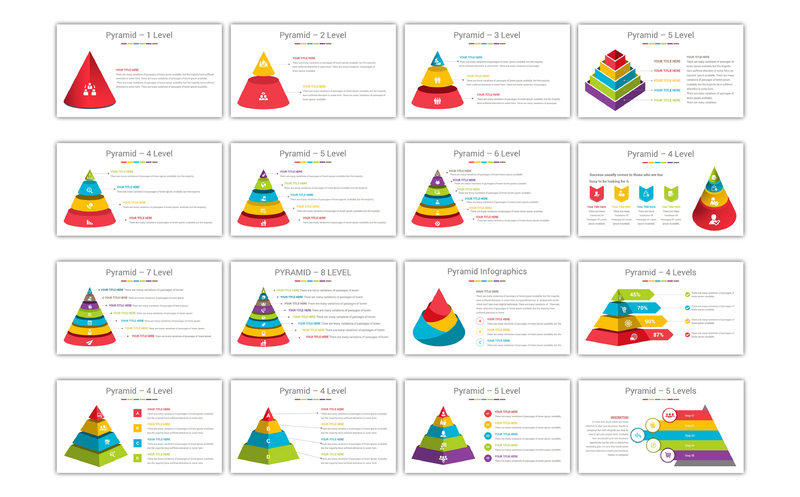 The Pyramid Infographics Business PowerPoint Template Solutions reduces your work by supplying templates designed with busy entrepreneurs in mind. With 20 fully editable slides, the Pitch Deck Bundle provides you with the template you need to deliver a strong pitch. and over 4500 professional icons included.you can flawlessly move, resize or change colors throughout your presentation slides. Plue 90 color themes are included in this pack, which you can with One Click change the colors of all shapes, Icons, fonts and auto recolored. or you can make your own colors theme and apply it on all slides at once.